ELA.RL.2.1: Ask and answer such questions as who, what, where, when, why, and how to demonstrate understanding of key details in a text. ELA.RL.2.3: Describe how characters in a story respond to major events and challenges. ELA.RL.2.2: Recount stories, including fables and folktales from diverse cultures, and determine their central message, lesson, or moral. ELA.RL.2.5: Describe the overall structure of a story, including describing how the beginning introduces the story and the ending concludes the action. ELA.RI.2.1: Ask and answer such questions as who, what, where, when, why, and how to demonstrate understanding of key details in a text. ELA.RI.2.3: Describe the connection between a series of historical events, scientific ideas or concepts, or steps in technical procedures in a text. ELA.RI.2.4: Determine the meaning of words and phrases in a text relevant to a grade 2 topic or subject area. ELA.RI.2.6: Identify the main purpose of a text, including what the author wants to answer, explain, or describe. ELA.RI.2.8: Describe how reasons support specific points the author makes in a text. ELA.W.2.3: Write narratives in which they recount a well elaborated event or short sequence of events, include details to describe actions, thoughts, and feelings, use temporal words to signal event order, and provide a sense of closure. ELA.W.2.1: Write opinion pieces in which they introduce the topic or book they are writing about, state an opinion, supply reasons that support the opinion, use linking words (e.g., because, and, also) to connect opinion and reasons, and provide a concluding statement or section. ELA.W.2.2: Write informative/explanatory texts in which they introduce a topic, use facts and definitions to develop points, and provide a concluding statement or section. ELA.W.2.6: With guidance and support from adults, use a variety of digital tools to produce and publish writing, including in collaboration with peers. ELA.W.2.5: With guidance and support from adults and peers, focus on a topic and strengthen writing as needed by revising and editing. ELA.W.2.8: Recall information from experiences or gather information from provided sources to answer a question. ELA.W.2.7: Participate in shared research and writing projects (e.g., read a number of books on a single topic to produce a report; record science observations). ELA.SL.2.1: Participate in collaborative conversations with diverse partners about grade 2 topics and texts with peers and adults in small and larger groups. ELA.SL.2.2: Recount or describe key ideas or details from a text read aloud or information presented orally or through other media. ELA.SL.2.3: Ask and answer questions about what a speaker says in order to clarify comprehension, gather additional information, or deepen understanding of a topic or issue. ELA.SL.2.4: Tell a story or recount an experience with appropriate facts and relevant, descriptive details, speaking audibly in coherent sentences. ELA.SL.2.6: Produce complete sentences when appropriate to task and situation in order to provide requested detail or clarification. ELA.SL.2.5: Create audio recordings of stories or poems; add drawings or other visual displays to stories or recounts of experiences when appropriate to clarify ideas, thoughts, and feelings. ELA.L.2.2: Demonstrate command of the conventions of standard English capitalization, punctuation, and spelling when writing. ELA.L.2.1: Demonstrate command of the conventions of standard English grammar and usage when writing or speaking. ELA.L.2.3: Use knowledge of language and its conventions when writing, speaking, reading, or listening. 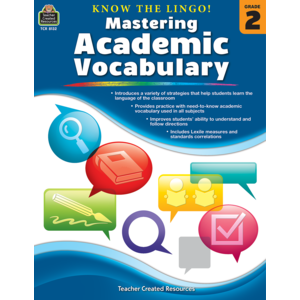 ELA.L.2.4: Determine or clarify the meaning of unknown and multiple-meaning words and phrases based on grade 2 reading and content, choosing flexibly from an array of strategies. ELA.L.2.6: Use words and phrases acquired through conversations, reading and being read to, and responding to texts, including using adjectives and adverbs to describe (e.g., When other kids are happy that makes me happy). ELA.L.2.5: Demonstrate understanding of word relationships and nuances in word meanings.